Two clowns tell stories as they play in a pool of water. 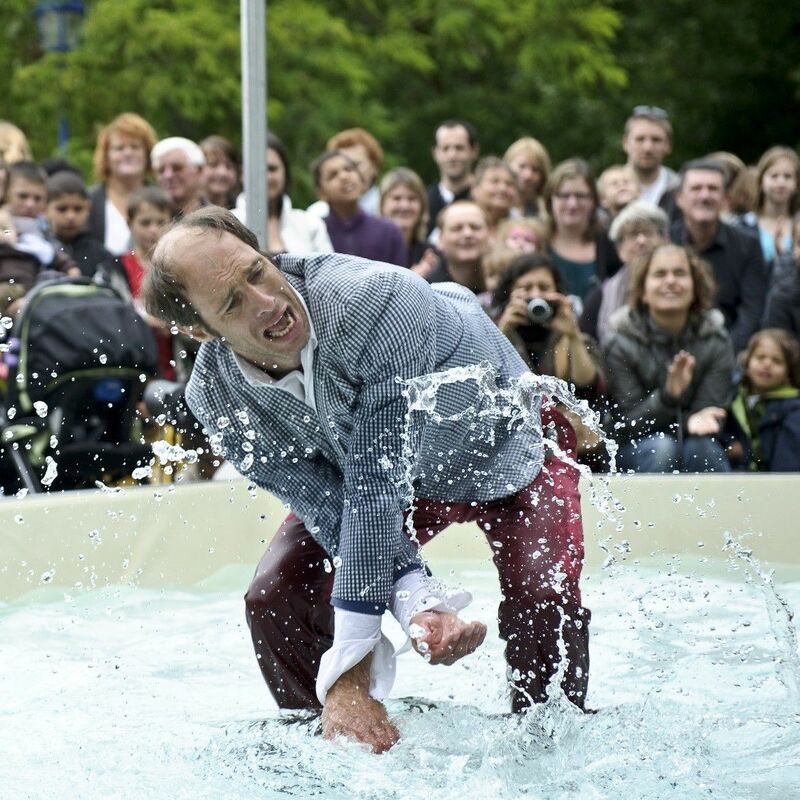 A howl of laughter from Bell Square is sure to be heard all over Hounslow in this wildly humorous and unique show by French Circus company Cie Barolosolo. Two clowns tell stories as they play in a pool of water and magically turn the water into a drum and a Chinese pole into a flute. Water lot of fun there is to be had.